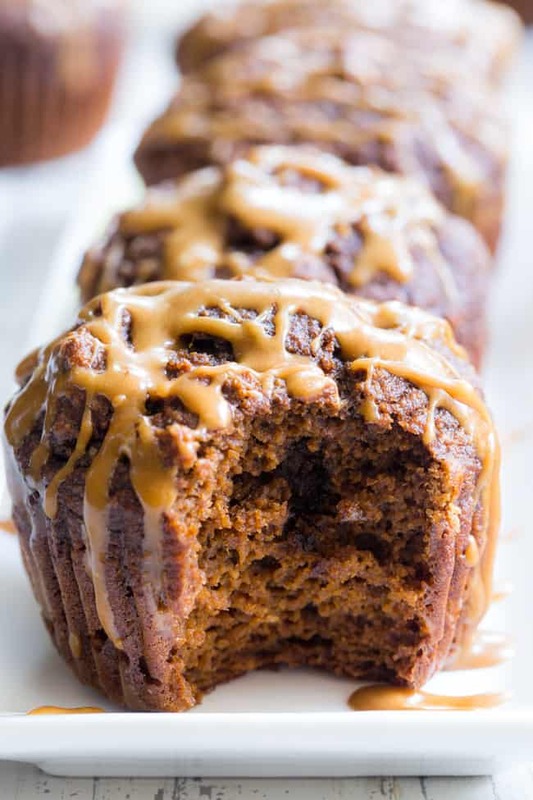 These Pumpkin Spice Latte Muffins have everything you love about your favorite fall drink, in muffin form! 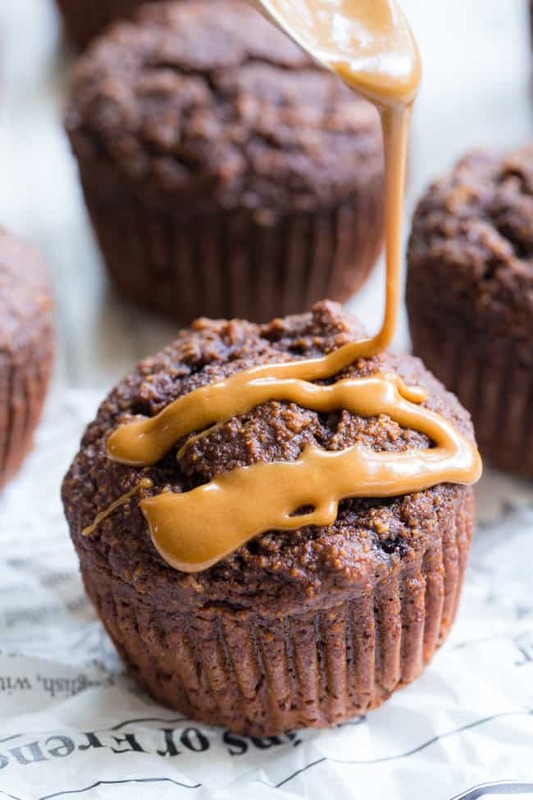 Fluffy, moist muffins packed with pumpkin pie spice and espresso powder drizzled with a dairy-free “latte” icing. 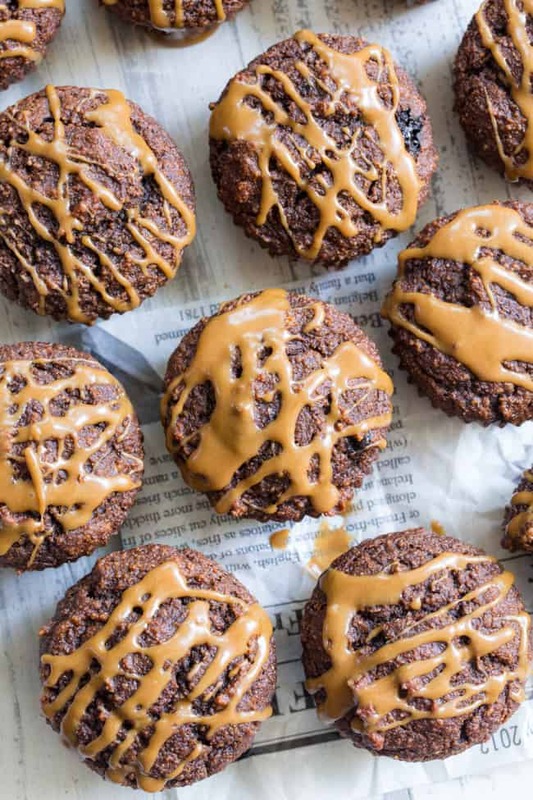 They’re gluten-free, dairy free, paleo, and one of my favorite baking recipes this fall! 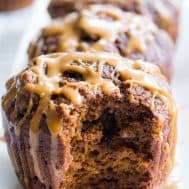 We’re still going strong with pumpkin this season and THESE pumpkin spice latte muffins are something to get excited about! 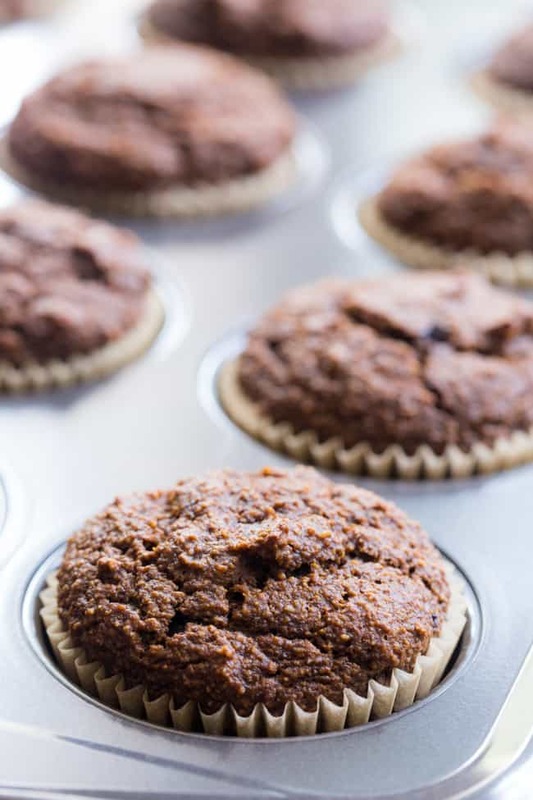 These muffins surprised me with how perfectly they turned out – a more than pleasant surprise when it comes to recipes testing. They have great rise, a tender crumb and the flavor is simply awesome. And if all that isn’t enough, we have more! More, meaning that perfect drizzle of latte icing on top. Paleo baking doesn’t get better than this. You can see above how well they rise – something often missing in paleo baking unfortunately. I definitely think the espresso powder helps with the rise and of course, the flavor! 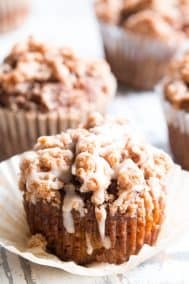 Since my kids are always trying to drink my coffee, they were especially happy to test out these pumpkin spice latte muffins. Surprisingly, even my picky little guy loved them! I’m sure the icing didn’t hurt, of course. I’m sure they’re all latte lovers in training, anyway. Because really, who doesn’t love a good latte? There are a few “secrets” I have when it comes to making paleo muffins, and I broke them all out when testing these. The first is including nut butter. I swear that every muffin or bread recipe containing nut butter is just an absolute winner. The stuff is magic when it comes to paleo baking! However, not everyone loves baking with nut butter, so I use it somewhat sparingly. This recipe contains just 1/4 cup, but it does the trick. Second is using coconut sugar over a liquid sweetener like honey or maple syrup. 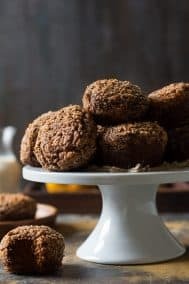 This is only about the rise – I’ve noticed my coconut sugar muffins rise better than their maple and honey sweetened counterparts. 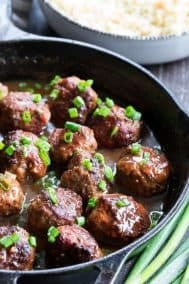 While it doesn’t make a huge difference, it really does seem to work well for this recipe. Third “secret” – a combination of almond and tapioca flour. I used to include coconut flour in this combo, but, in truth I think the almond flour does a better job. Still, to cut down on how much almond flour we use (it gets pricey!) I still include coconut flour in many recipes. The tapioca is a must in my opinion, since it make the texture fluffier and chewier. You know, more like a traditional gluten-containing muffin! But, add too much tapioca and the muffins turn spongy – the right mix is key! 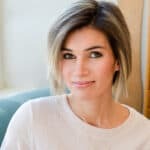 Secret 4 – a good icing! Did you know you can make paleo powdered sugar by blending either coconut sugar or maple sugar with tapioca? If you don’t need the icing to be paleo, organic powdered sugar is always fine to use as well. 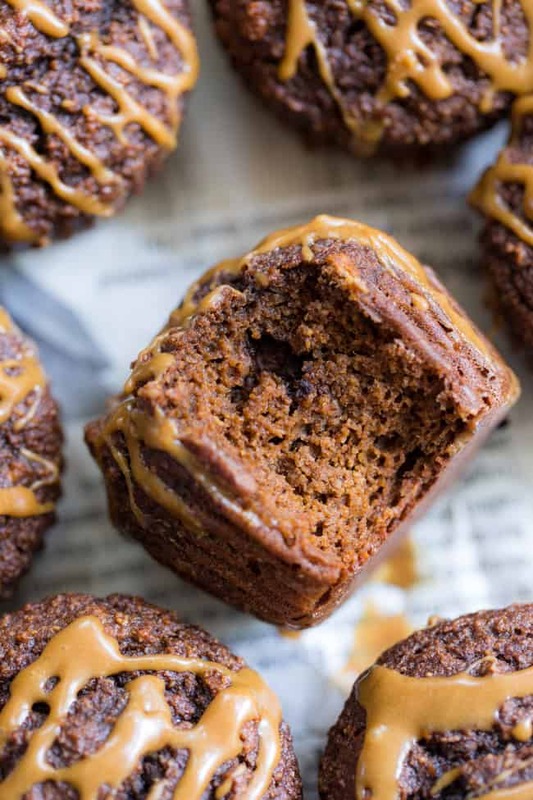 The homemade powdered sugar combined with a bit of espresso powder, vanilla, and dairy free milk creates a delicious icing to top off these already special pumpkin spice latter muffins! I know you’re ready to get on with baking already! Grab your ingredients and an apron and let’s go! Preheat your oven to 350 degrees and line a 12 cup muffin pan with parchment liners. In a medium bowl, combine the almond flour, tapioca or arrowroot, espresso powder, spices, baking sofa and salt. 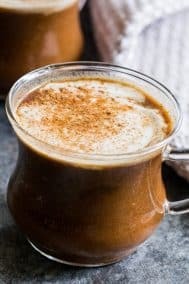 In a separate large bowl, using an electric mixer or whisk, blend together the eggs, pumpkin, nut butter, milk, coconut sugar and vanilla extract until very smooth. Stir the dry ingredients into the wet until fully combined. Spoon batter into parchment liners about 3/4 of the way up to make 12 muffins. Bake for 22 minutes until risen, set in the center and a toothpick inserted in the center of one comes out clean. Allow to cool in the pan about 10 mins, then remove to wire racks to cool completely. 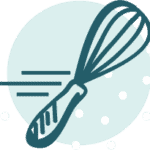 While muffins cool, whisk together all icing ingredients util very smooth. Once muffins are completely cooled, drizzle with the latte icing before serving. Store leftovers at room temp for the first 24 hours and in the refrigerator for up to 3 days. Muffins can also be frozen without the icing. Enjoy! 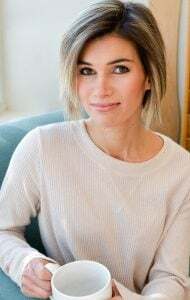 *Make your own paleo powdered sugar by blending 1 cup maple or coconut sugar with 1 Tbsp tapioca or arrowroot starch in a food processor until a powdery texture is achieved. Use just 1/3 of this mixture in this recipe and save the rest for another use. **Nutrition facts are calculated including the icing. Want More Paleo Pumpkin Recipes? Try One of These! Can these be made without the espresso? If yes, do you have a caffeine/coffee free substitute to get the extra rise? Did you make these? I’m wanting to do the same thing – take out to espresso. 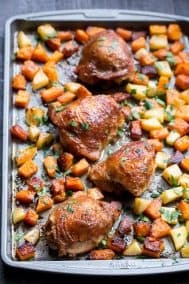 I SO EXCITED TO FIND THE RECIPE! I can’t tolerate gluten and only limited dairy so stuff like this makes my day! is there anything that can be substituted for the nut products. I have an allergy. 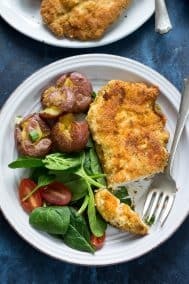 ie amount for coconut flour/ or amount for a butter other than almond? thank you. 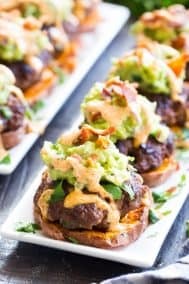 These sound awesome…I’ll make for my family…but would love to try them too ! 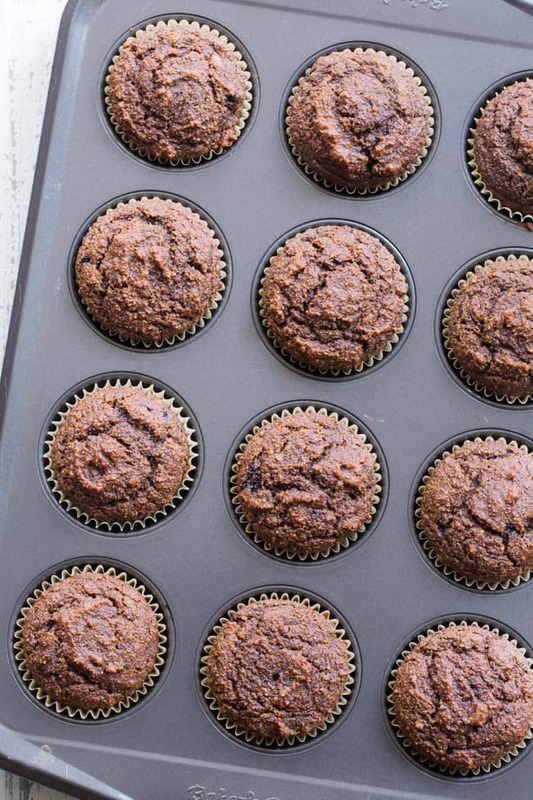 A muffin without nuts is just a…nuffin. I would add some chopped walnuts! 😀 Otherwise, these sound inspired. These are my first Paleo muffins made ever. And they are amazing! 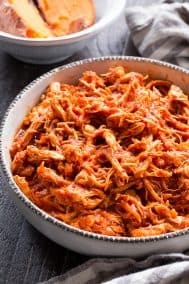 This will be a “go-to” recipe for me. Thank you! These are amazing! Great texture and taste! Better than non-paleo muffins. Just curious, could you tell me what the nutritional info would be without the drizzle. I want to make these for a friend who is on a limited intake of carbs and sugar and was hoping for a win!